The end of the year is the perfect time to settle in and get some things marked off your to-do list. This might include fall paint projects, experimenting with new recipes ahead of the holidays, and planning out your gift list for friends and family members. That last item can pose problems, especially when you’re trying to think of a gift for the person who has everything. 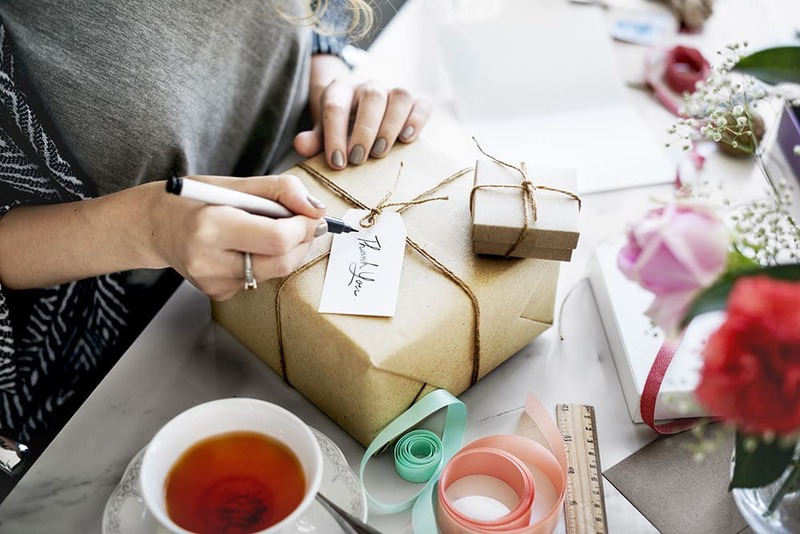 Thankfully, with a little creativity and originality, you can come up with plenty of homemade gift and crafts that will show them how much you care. Here are a few DIY items that will check off a few of the people on your holiday gift list. Even the person who has enough jewelry, clothing, or electronics could always use a batch of fresh-baked treats. Instead of giving them one more item to keep up with, give them something they can scarf down. Choose an item that falls within your baking expertise comfort level. If a rustic loaf of bread is in your wheelhouse, go for it. People will also be pleased with a batch of fresh-baked cookies, even if they come from cookie dough mix in a box. Your gift loaf of bread will look beautiful wrapped in a simple sheet of parchment paper. If you opt for cookies, it’s easy to find empty decorative holiday tins that the recipient can reuse for other purposes. Also for the person who has enough jewelry … why not give them a one-of-a-kind place to store it? It’s easy to make a homemade jewelry box and the best news of all is that unlike many other homemade gifts and crafts, this doesn’t require saws, drills, or any heavy-duty equipment. All you’ll need is a raised and a flat fence-post cap, sandpaper, paint or stain, and a drawer/cabinet knob (or another sentimental item to glue on) to use as a handle. For detailed instructions on how to put together your homemade jewelry box, click here. For the chef in your life, put together a gift collection of ombre kitchen utensils. Pick out a set of plain bamboo utensils and choose a hue (reading about how color affects mood might help you decide). You’ll need two bottles of acrylic paint: the color of your choice, as well as a bottle of white paint. Also pick up an acrylic brush, some painter’s tape, and sealer. Cordon off the top of the utensils with a strip of painter’s tape; you’re only going to paint the handles. For the first utensil, use about a tablespoon of white paint with just a tiny amount of the color mixed in. (You can do the mixing with a cotton swab with the end cut off.) Paint one side of it (including the edges) and lay it out to dry for a half hour before painting the other side. For the next utensil, use a 2:1 ratio of color to white. Use equal parts color to white for the third utensil, and only use the colored paint for the final one. Tie them all up with a bow and they’re ready to gift! Although these homemade gifts and crafts are sure to please anyone who receives them, they’re also certain to please you. After all, more homemade gifts means less time spent fighting the crowds instead of taking care of your to-do list. Happy holidays!